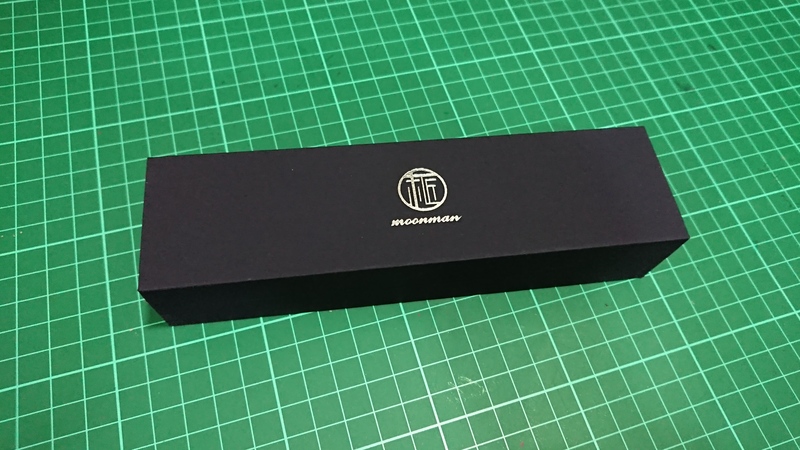 Hello again, I'm Doggo and today we have an overview of another new Chinese pen: Moonman M100. Please right click and open image in new tab for larger images. 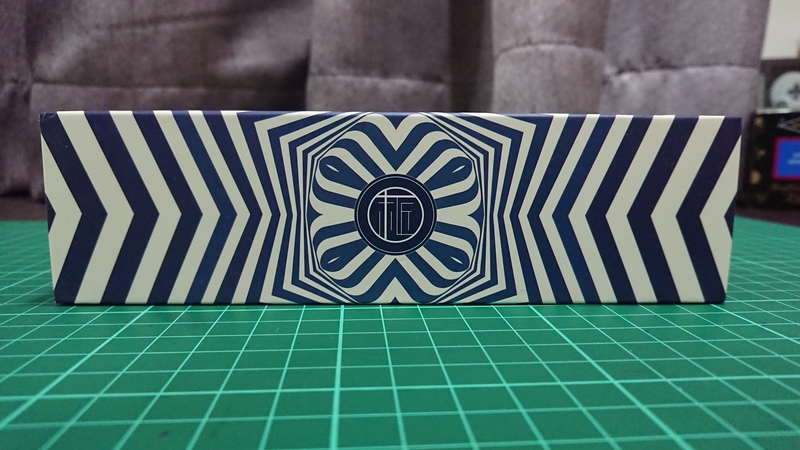 Without further ado, we're presented with a really trippy outer box with the Moonman logo. And right below that is a nice, small presentation box with a gold foil logo, nothing special so far. 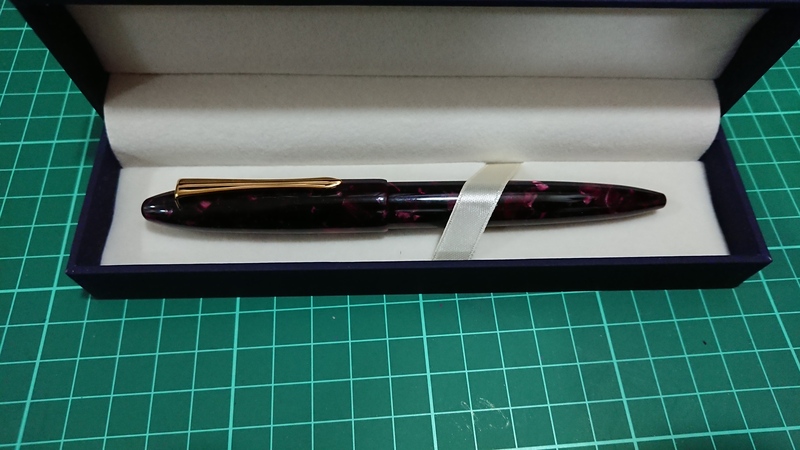 Opening the box, and there's the pen secured by a ribbon strap. 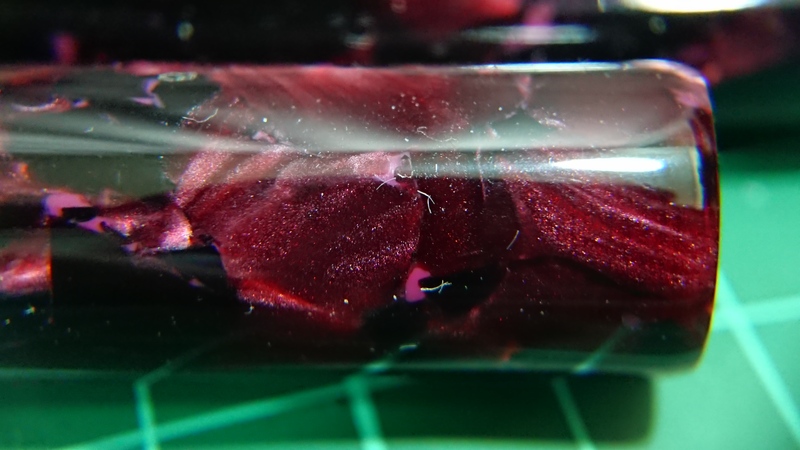 A closeup of the Black Rose acrylic, it is a chatoyant cracked ice acrylic which is very pinkish red. 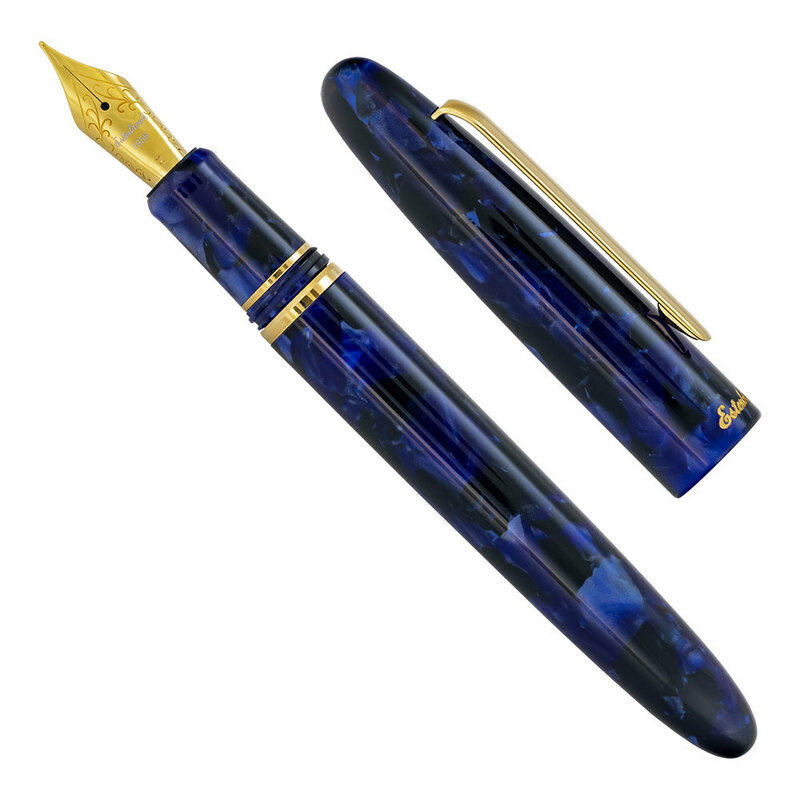 The material is very polished and is present on the cap, barrel and even section of the pen. My room was err, pretty dusty lately so I apologize for the specks, they kept reappearing after wiping. The size of the pen is great for its nib size and it has good balance both posted and unposted. I don't have many cigar-shaped pens so I was struggling to find a decent comparison but the following photos with a Sailor King of Pen Ebonite should work well to demonstrate its size. It's kinda small for some people. Not pictured is a metal compartment similar to Sailor pens in the section that has the screw threads to screw into the barrel. The barrel does not have metal screw threads and may wear off after long periods of time. In addition, the metal compartment means that this pen can't be eyedropped. 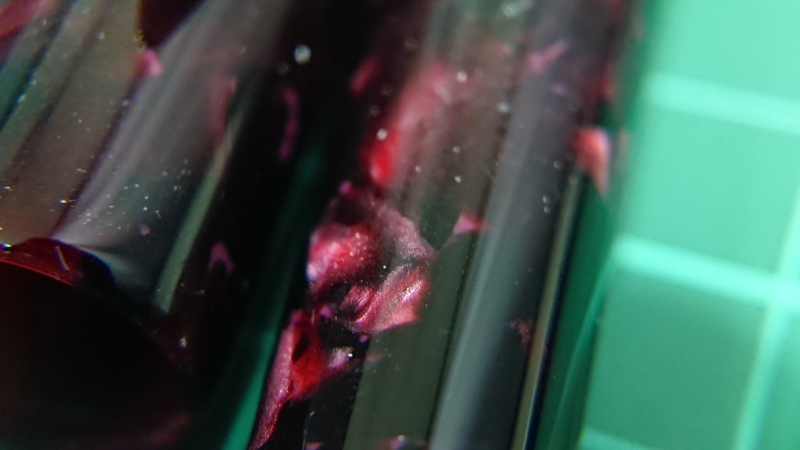 However, the Schmidt converter holds a decent amount of ink (more than my Sailor King of Pen I think) so nothing to worry. The Moonman M100 sports a #5 sized Steel Fine Schmidt nib (the only size available). 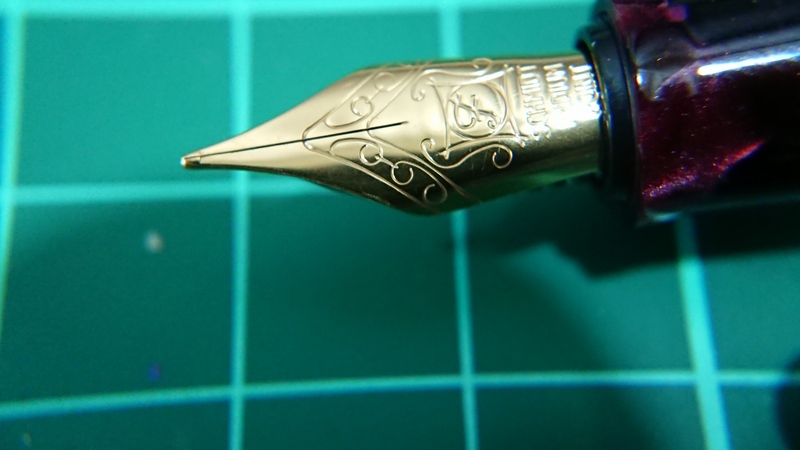 The nib unit can be simply unscrewed out of the pen. Schmidt nibs are decent writers, just nothing to write home about. 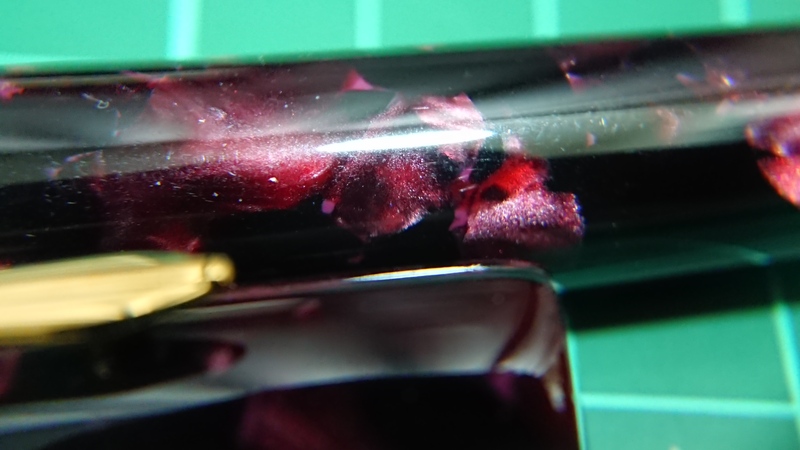 This one had tight tines where the tipping touched each other at the very tip (it seems to be a common Chinese fountain pen occurrence). I merely opened up the tines without any polishing and wrote the following writing sample. 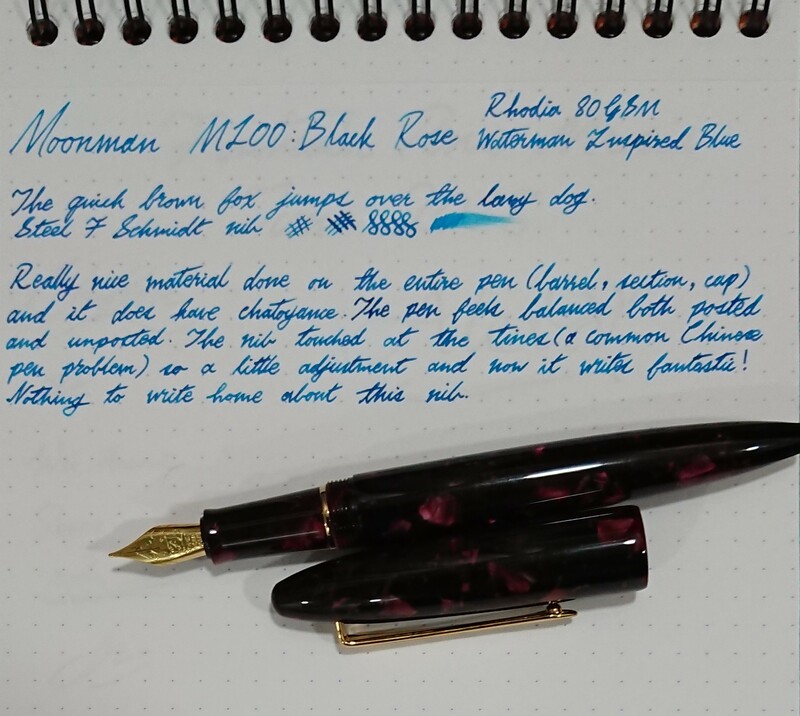 In conclusion, the Moonman M100 has a great material and good nib for a decent price. Thanks for reading through and I'll be looking at opportunities to do nib swaps with this pen. Hopefully there is a nice little vintage nib that fits. 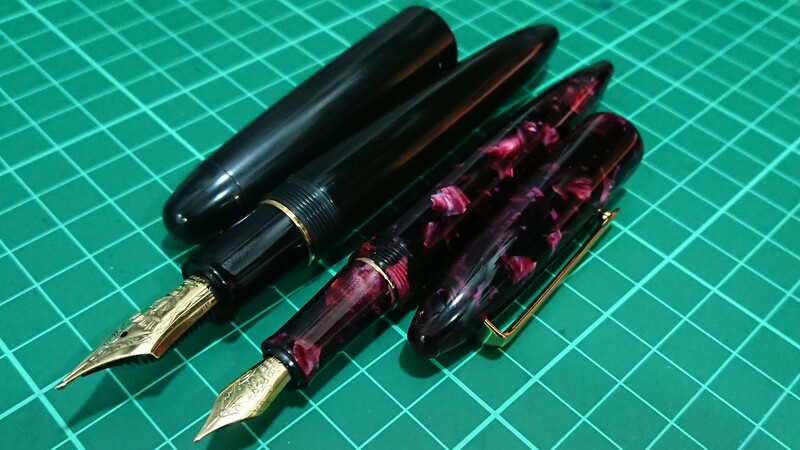 Update: I just discovered that the Esterbrook Estie is a whopping 156 USD from Goulet Pens. The Moonman M100 costs 40 USD at most. I got mine closer to 38 USD excluding shipping.